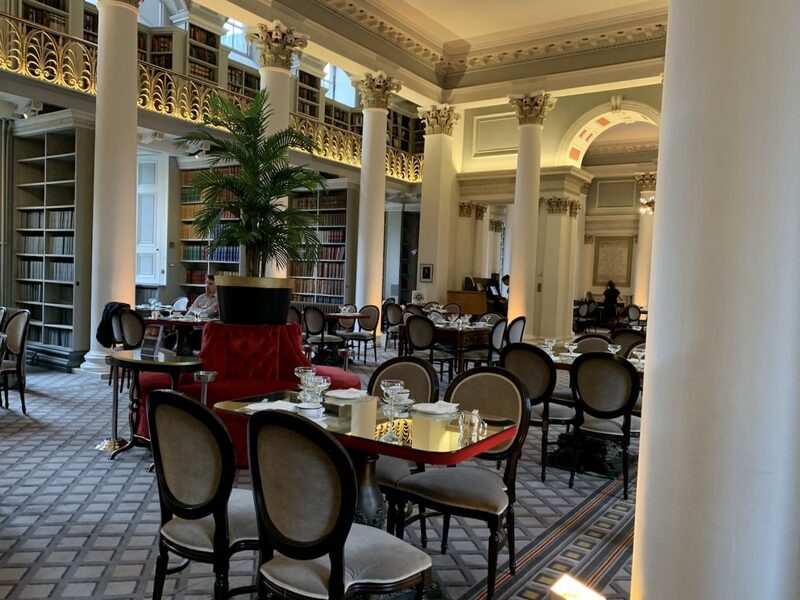 Afternoon tea at the Signet Library in Edinburgh is a must for all bibliophiles and afternoon tea lovers. Or for anyone who wants to experience afternoon tea in Scotland, or just want to get out of the rain while walking on the Royal Mile. I arrived at 11 am on a Sunday and can say it’s a pretty heavy afternoon tea, perfect for a Sunday brunch. Here’s my experience. 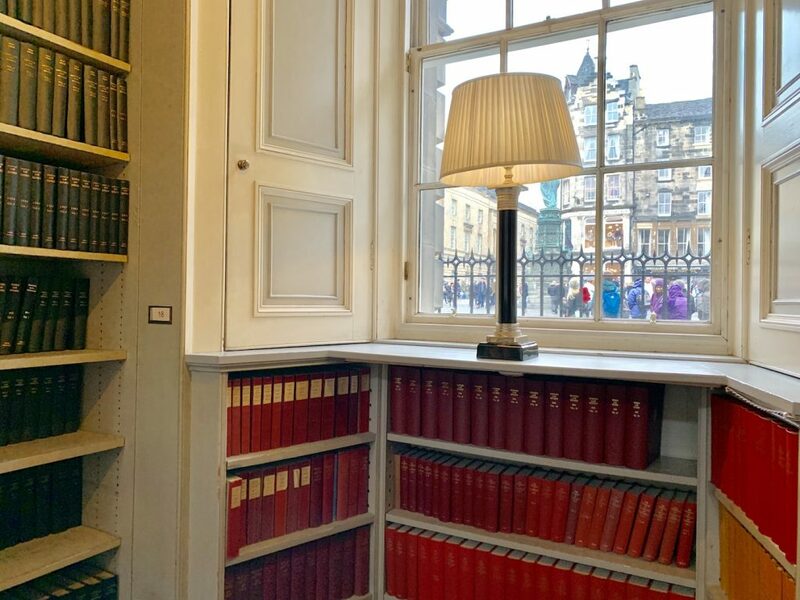 You’ll find the Signet Library along the Royal Mile – the touristic mile long road from the Edinburgh Castle to Holyrood Palace. 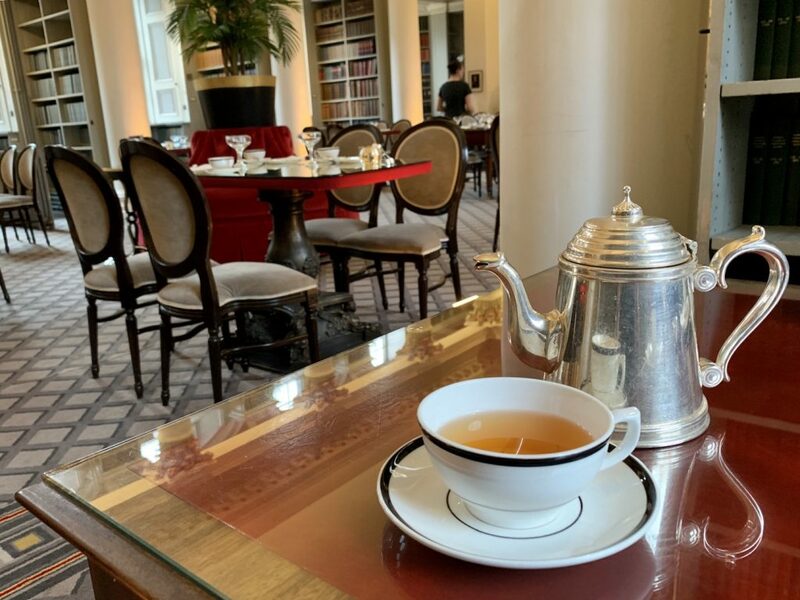 I was staying at the Radisson Collection Royal Mile and had no excuse for missing afternoon tea at the Signet Library since the buildings are practically neighbors. It was a little confusing to find the entrance. 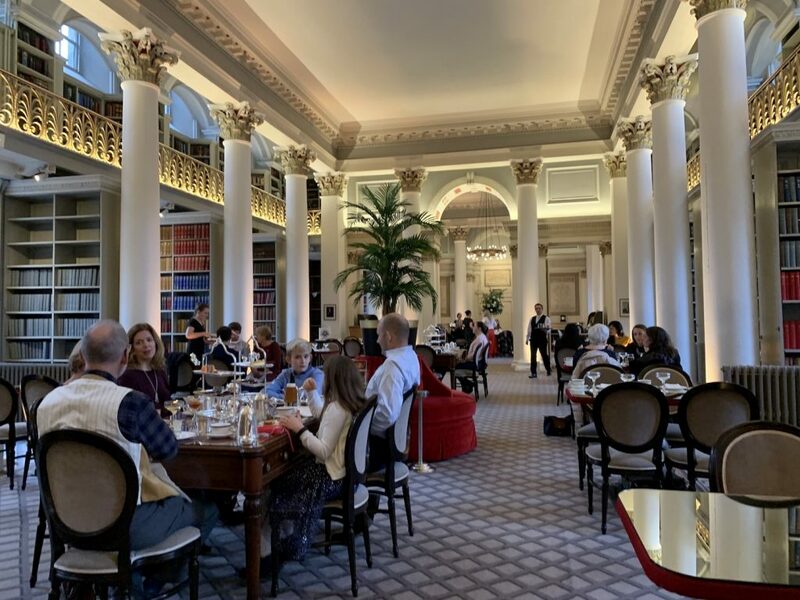 I had to go to a cafe that was open in Parliament Square and one of the staff was kind to point out the where the Signet Library was. There was just a small glass cased stand with a menu out front. 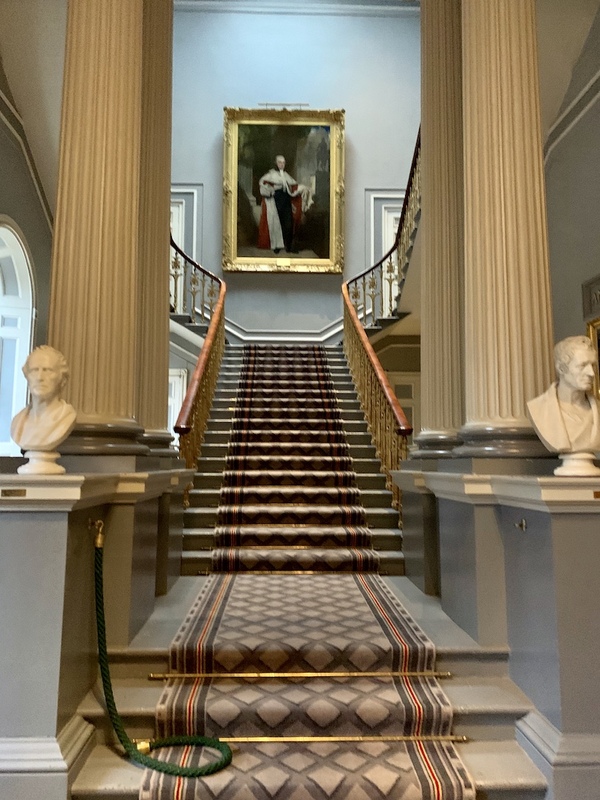 Walking in, to the right was a large desk and to the left, a grand staircase. Walking a little farther in, on the right was the doors to the Colonnades, where afternoon tea is served at the Signet Library. I poked my head into the room and someone came right away to take me to table. I recommend calling to make a reservation. I did not have one but came early, right when it started at 11 am and was able to get a table. 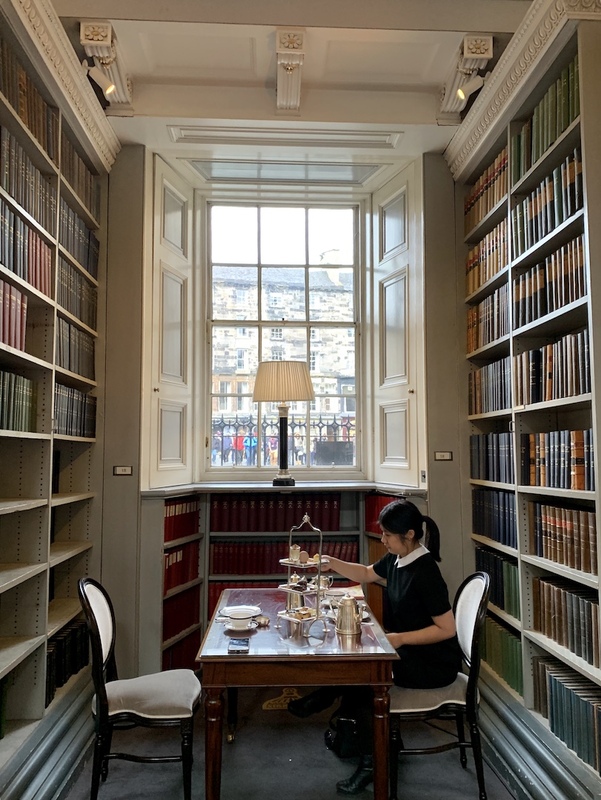 The Signet Library really is a library. There are high floor to ceiling columns in front of sections of bookshelves. The middle section of the room is great for large groups and tables nestled between tall shelves near the windows are perfect for two. 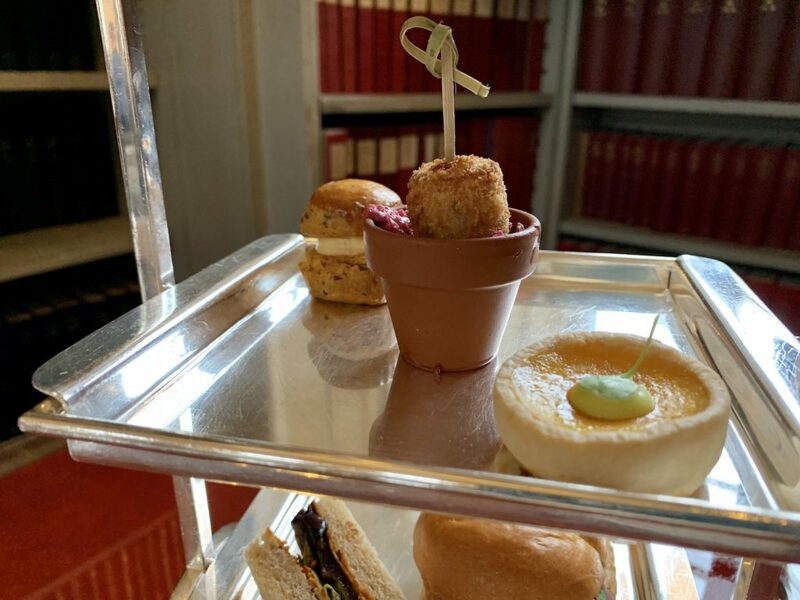 Afternoon tea is served at the Signet Library’s restaurant, Colonnades. Tall floor to ceiling columns surround the room (hence the name of the restaurant, Colonnades). 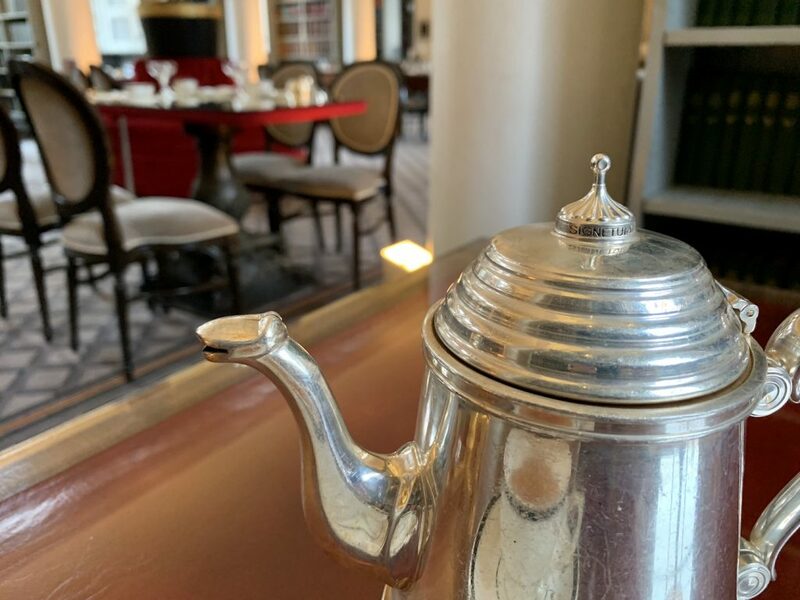 And on a Sunday morning at 11 am, there were already two groups of afternoon tea goers – one celebrating a birthday. By the time I was ready to leave, the place was getting busier. 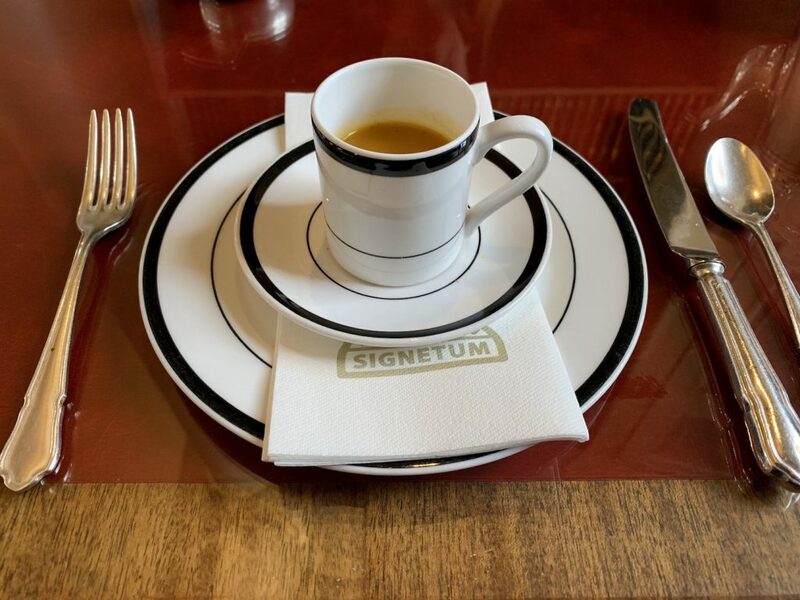 As usual, I went with a tea that’s unique to the venue – the Signet Blend, a black tea. 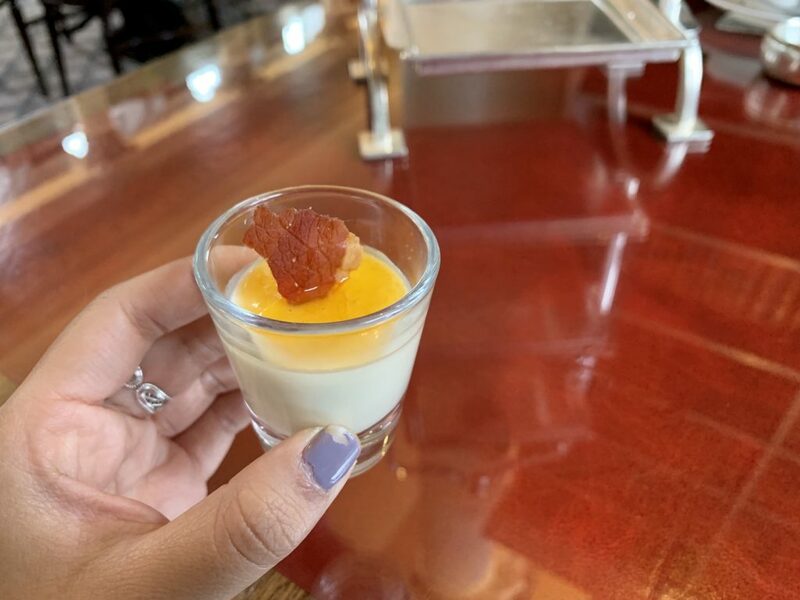 While not a huge fan of it, I thought it was an interesting blend that matched the theme of various flavors presented in the food. There’s a lot on this afternoon tea menu. My cousin and I shared an afternoon tea for one person and splitting each item was just enough. First up was an amuse bouche, which was a creamy vegetable based soup. Though we just ordered afternoon tea for one, they were kind to provide one for each of us. A three tiered tray was presented with the savories. On the top tier: game and bramble pie, black olive and red pepper meringue, smoked mozzarella panna cotta. On the second tier: chicken and chorizo arancini (in a cute terra cotta pot), butternut squash and bacon scone, smoked mackerel and beetroot quiche. And on the bottom, a pastrami, mustard and rocket bagel and spied hummus and aubergine (eggplant) sandwich. 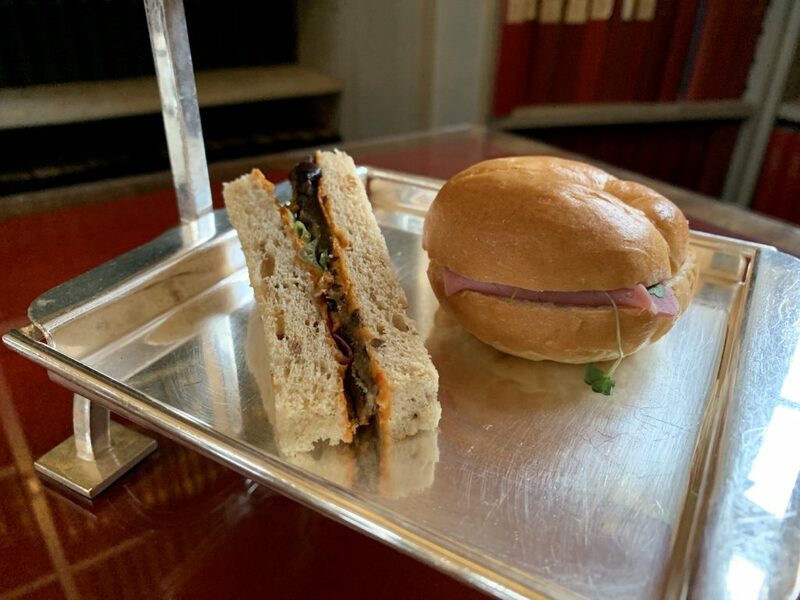 There wasn’t any of the ‘normal’ afternoon tea savories like cucumber sandwiches, which can get really boring anyway. I was excited to try every savory for a new flavor to experience in my mouth. 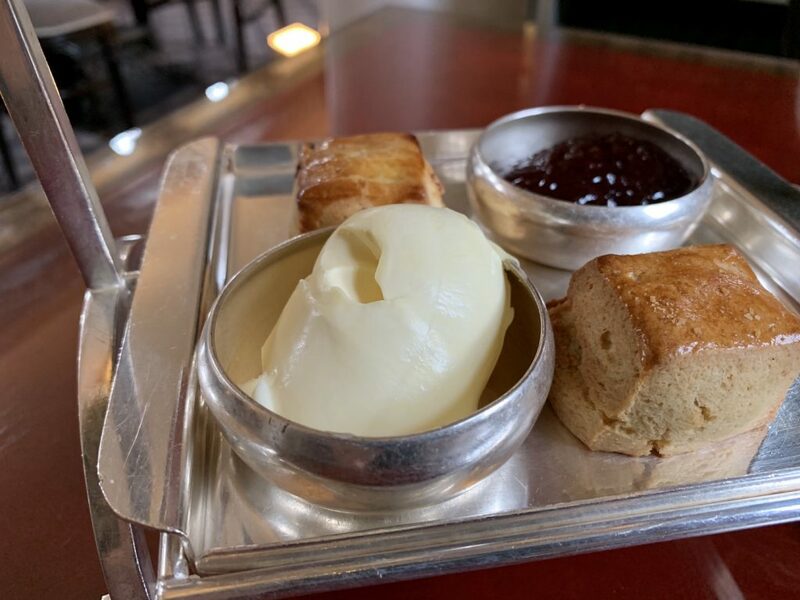 I can talk about clotted cream from the UK all day. 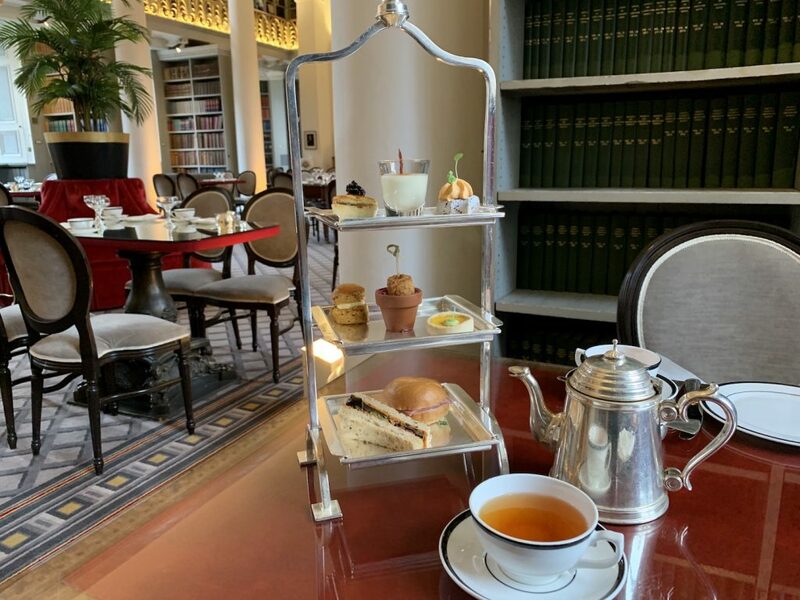 I get that afternoon tea originated in the UK and that they should naturally have the best. But I just can’t get over how amazing it is. I could just take a spoon and eat all the clotted cream. 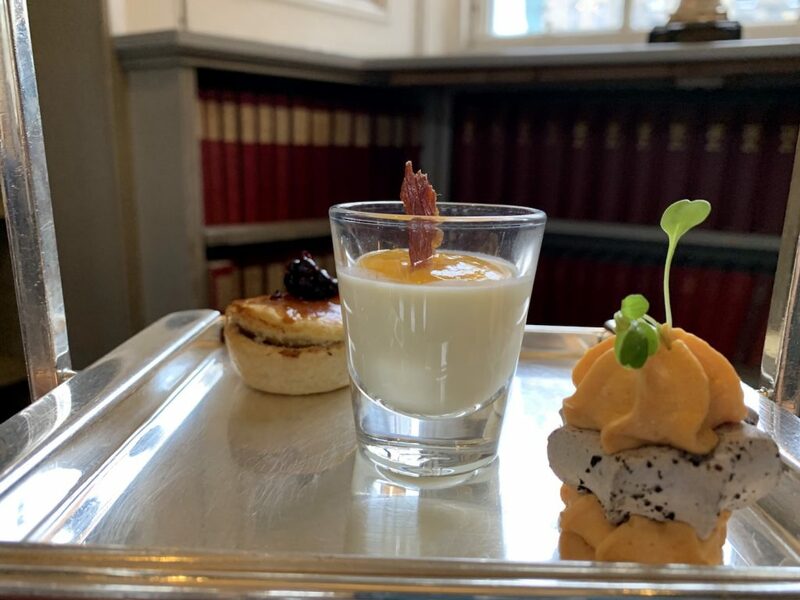 The Signet Library’s afternoon tea comes with one plain and one fruit scone with clotted cream and jam. The scones are on the smaller side, but I don’t mind. I could act on my spoon idea. On another three tiered tray came the sweets. On the bottom were the scones and in the middle was a red velvet cake, pumpkin pie and black forest dome. 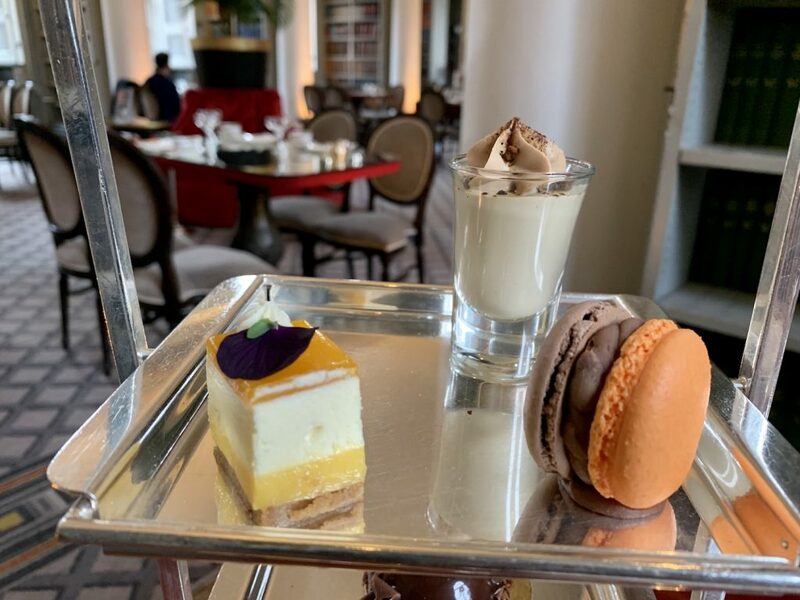 And on the top tier: chocolate orange macaron, caramel latte shot and a passion fruit delice. 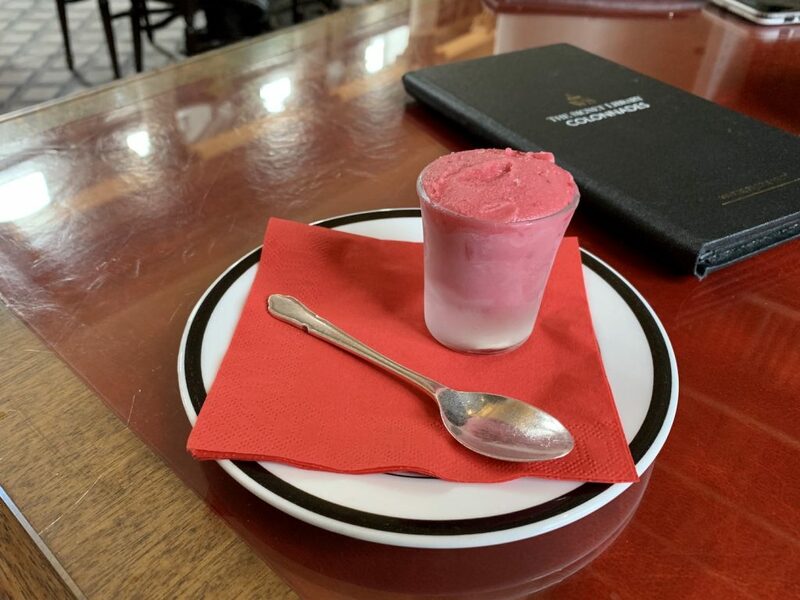 And a raspberry sorbet to end. Savories and sweets came on separate three tiered trays. And I noticed the tea pot had their own branding on top. A server came to check on the table frequently and all friendly and pleasant to have around. 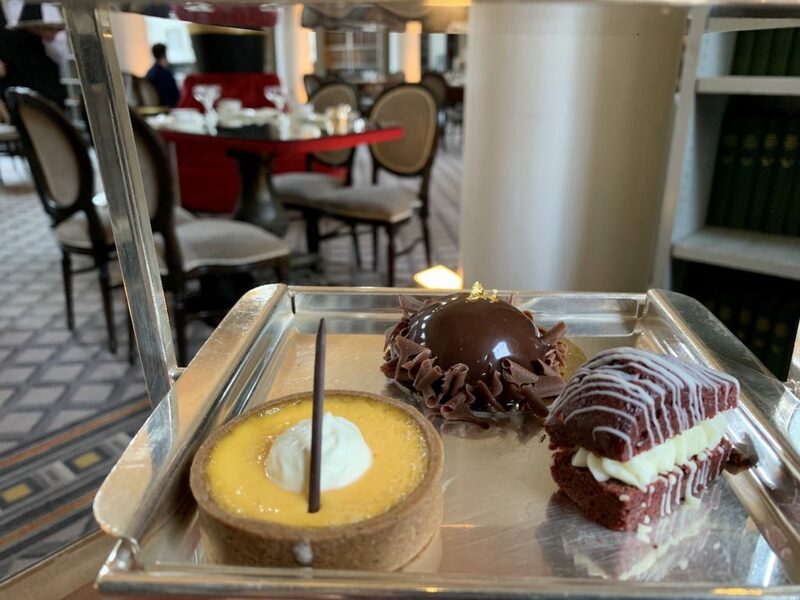 There were so many ingredients in each bite sized item on the afternoon tea menu. And I was really impressed with how the servers could recite every single one. 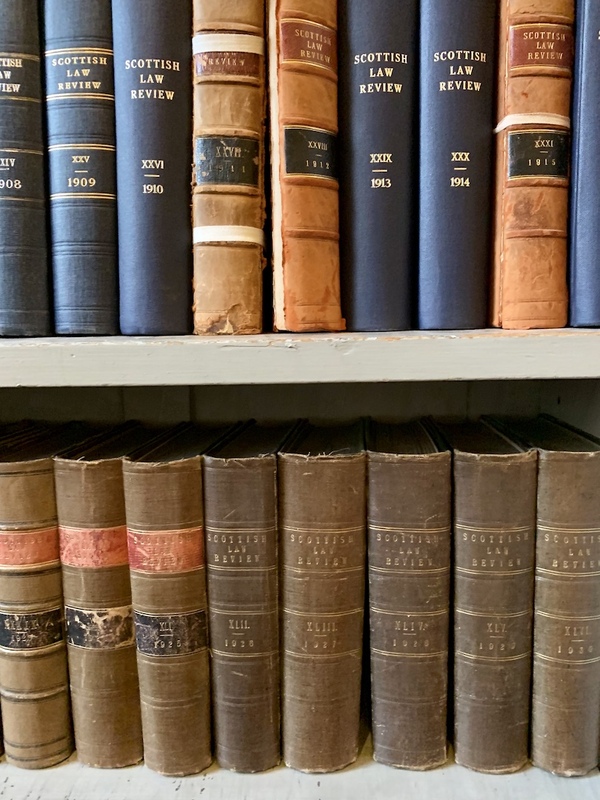 The Signet Library is on Facebook, Instagram, Twitter and Pinterest. Follow their Instagram account for frequent posts. 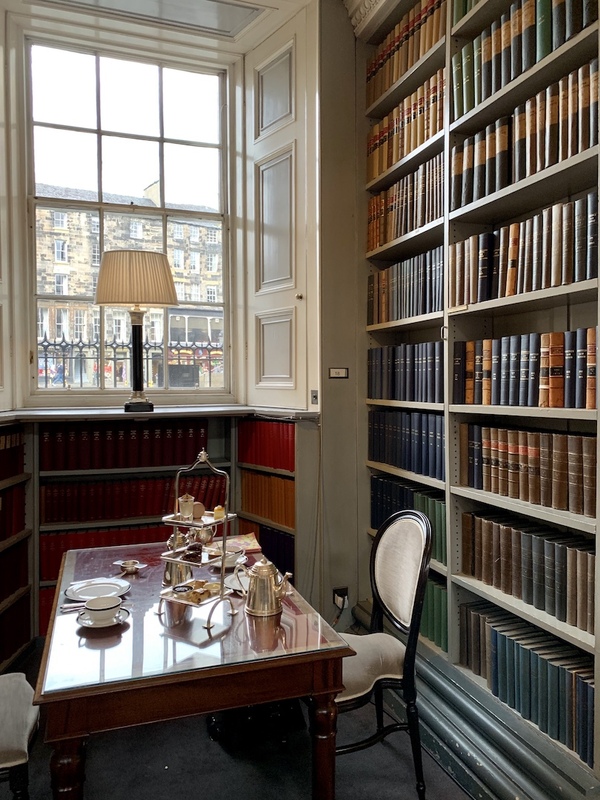 Having afternoon tea in a library surrounded by vintage books is this book and afternoon tea loving person’s dream. A must-do while in Edinburgh for a relaxing afternoon. 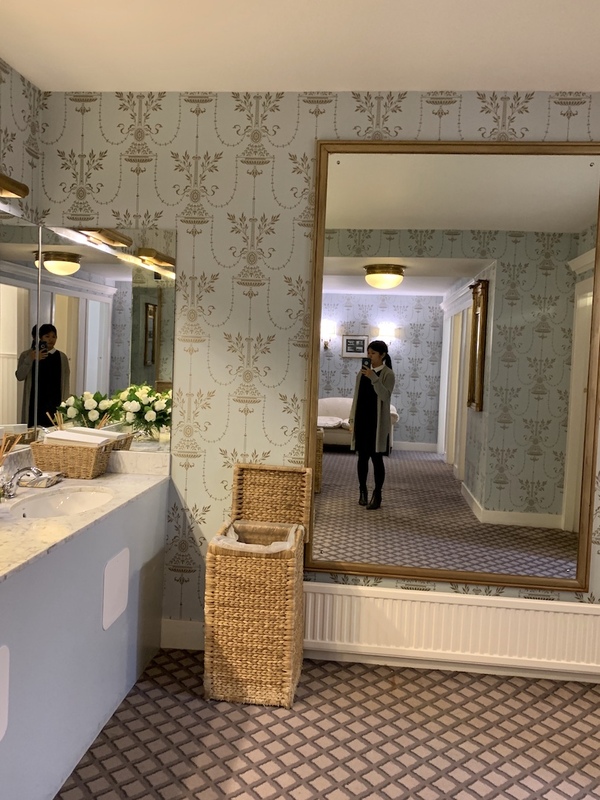 Also random side note, I liked the bathroom. It took two flights of stairs down to get to the lower level area. 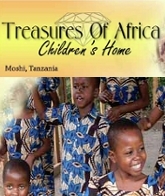 Go check it out when you’re there for tea. There’s also lots of historic photos on the walls on the way down. Oh and if you were wondering, the books are all about law.